Do you spend your weekends fantasizing about having a splendid picnic in a lush meadow? 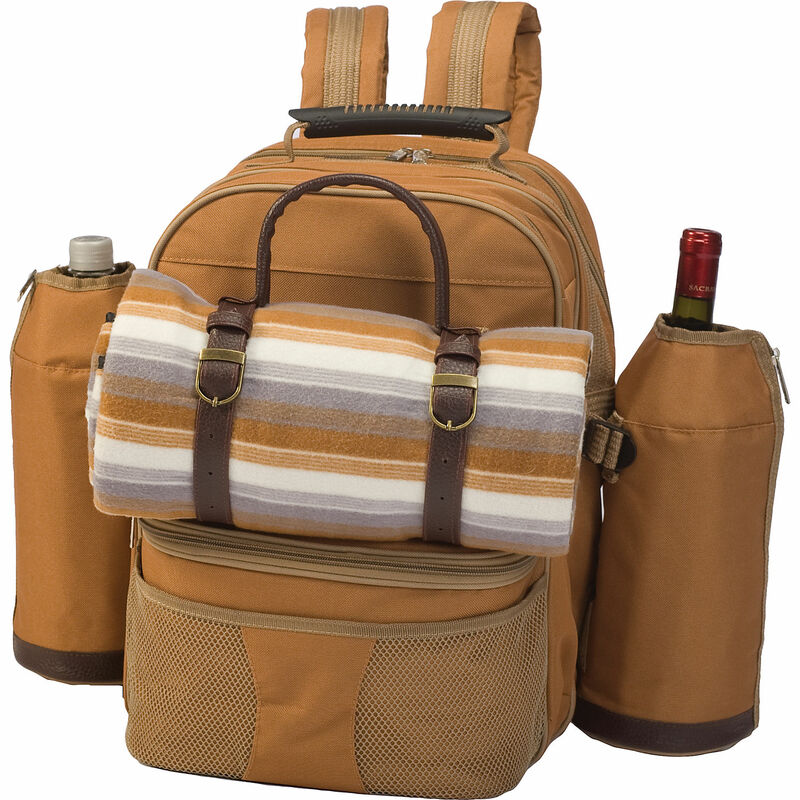 Stop dreaming and start picnicking, with this this top-quality four-person picnic backpack from Picnic Plus. This sleek-looking backpack not only packs a heavy dose of picnic pizazz, but also comes with a matching blanket, drink carriers and more. 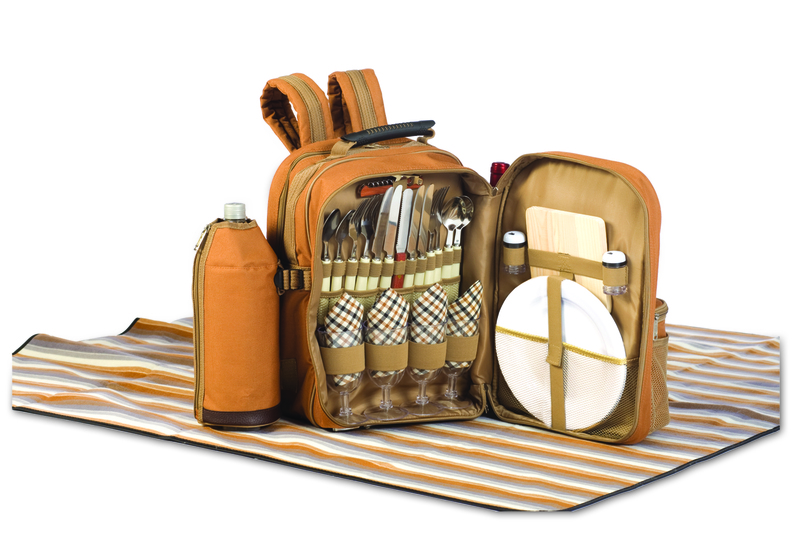 The Picnic Plus Tremont soft cooler gets you set for enjoying the outdoors with friends. It comes with a waterproof fleece picnic blanket and a complete picnic set from glasses to utensils. 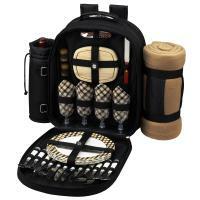 The bag includes 2 insulated, detachable wine/beverage holders. Positive- I couldn't be happier with this bag. The bag itself is very nice and comfortable to wear, the blanket it great, all the items are stored perfectly as to not take up too much room, the bottle holders have clips as well as holders, the whole thing is insulated, it has two pockets for food storage. Downside- The only thing I can possibly say could be a downside is that there isn't a whole lot of space for food. Considering not all too much food should be brought for a simple picnic for 4 and the size of the bag makes it SO comfortable it is barely a downside. So happy I got this for mothers day! 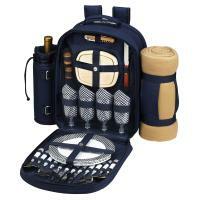 Very nice premium picnic package. Purchased as a wedding gift for a couple of outdoorsy folks we know. 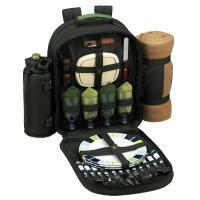 The quality was very nice and it seemed to be very true to the item description. Would have been really nice to include a table cloth and napkins, but the included blanket serves that purpose probably.